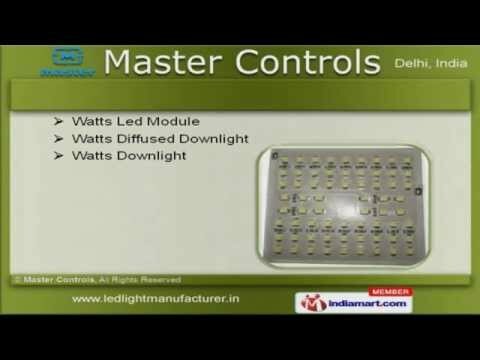 Welcome to Master ControlsManufacturer & Exporter of Lighting EquipmentThe company was established in the year 2000. We have spread our wings to IndianSubcontinent & Middle East and we Cater to Chemical, Pharma, Food & otherindustries. Easy payment modes, efficient functionality & Total client satisfaction are the salientfeatures of our organization. We offer a splendid range of LED Based Street, Flood & Tube Lights. LED Strip, Highbay Midbay and Lowbay Lights are a class apart. We also provide Watts Downlights, Led Module & Diffused Downlights. Our Watts Panel Light, Focused Downlights & Standards Watts Downlight are ofunmatched quality. Along with that we offer Grade Watts Downlights, Watts RGB Downlights & Watts PanelTube Light. Our Watt, High Watt Flood Light & Fluorescent Tube Light Bulbs are best in theindustry.